I saw this little journal on Friday. arms length, I made a change. I hadn’t wanted to change. said that it was time to say yes. When fear is involved, saying no is always easier. Saying yes is risky and messier and issues an invitation to sleepless nights. After the yes, doubts inhabit the mind and emotions. God wants to carry and use us when we are the most feeble. I kept holding His hand. I asked for prayer…tons of it. I stayed close to His Word. of laying that profession aside. It has been scary as it has been TEN. YEARS. mark my path to do both. I have the tendency to think in extremes, an either/or existence in living. God likes to use the word “and”. Which leads back to Wednesday and my discouragement. The phone remained silent in regards to work. I continued to wait for what seemed like the elusive first day of work. I looked at this blog and I started to wonder what was the point. Perhaps I should “close up shop”. I received a text from a friend reminding me that she was thinking of me. I asked God all the why questions. I posted this leading to this because He had reminded me. God was assembling a cheering section. and His presence, rescued me on Wednesday. of this blog was loud and clear and I was booked for my first day of work. Thursday brought steps into a former world. A day that demanded extra-strength antiperspirants. There will be a learning curve but I know that God doesn’t grade me. He delights that I let Him be strong. a thank you from a patient’s family member. I can do this and that. and so full of peace. I needed Wednesday to get to Friday. I will draw a winner on Monday evening. Thank you, Helen, for being a Cheerleader in my life! Your writing skills are definitely a gift from God…and a blessing to me. Congrats on your being a PT again! 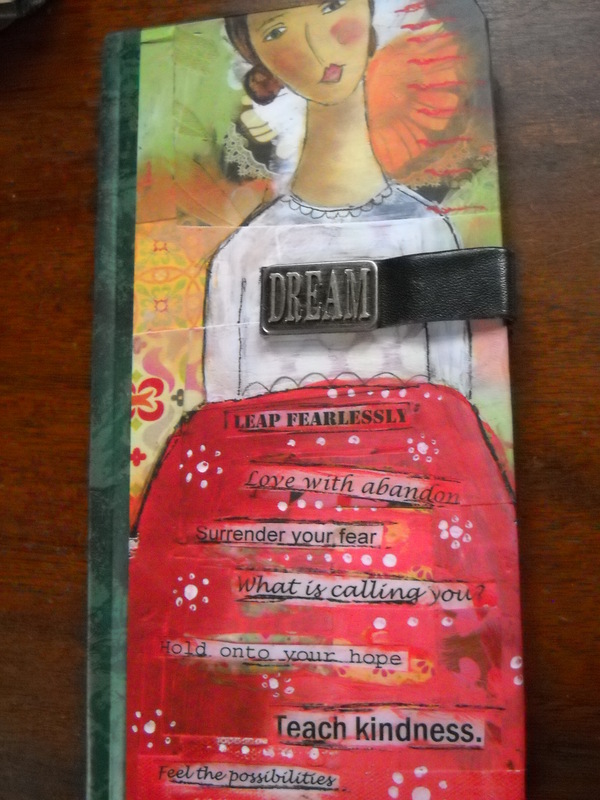 To leap fearlessly…seems I spend my whole life trying to not do that! Fear binds us up and prevents us from doing so much even for those who knows they have God’s assurance that we can do all things through HIm. Head knowledge is not the same as heart knowledge. Oh, and “love with abandon”. Thank you for sharing the power that God has to honor all the times we choose to say “Yes”, rather than “No”. There are so many “ands” in my life – many directions to use the gifts He gave me, many areas to serve and love others – every time I add another “and” He is faithful to provide the inspiration and encouragement needed. I’m glad you’re back in the PT world, Helen, being God’s hands to hurting people. I’m SO EXCITED for you, Helen!! You are so talented and real, and I love hearing how you’re allowing God to lead you into the scary unknown! Lately I have been feeling a bit “at loose ends,” like I need something “significant” to do but I’m afraid to ask the Lord WHAT!! What is calling me?? How gracious of God to allow us to be there on your first day in this new journey. I love the line “Surender your fears.” I struggle with that every day. You are definitely a writer! Oh gosh…love this. Mixed media art is my hobby these days. (rather than blogging!). I love the line about holding on to hope. Seems I need to remind myself of that often. Great posts…and you are on a roll!